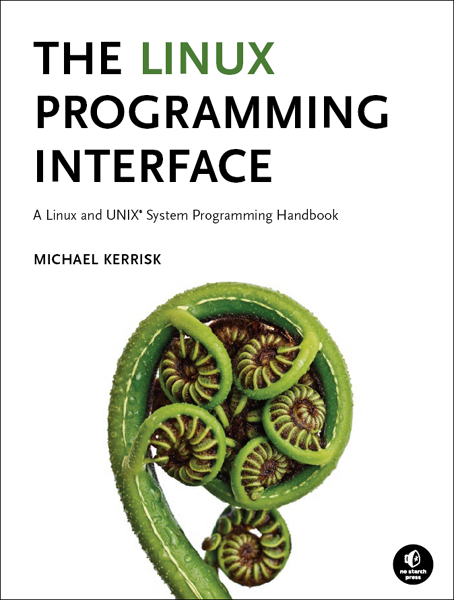 Many people have commented that they really like the cover design of The Linux Programming Interface. I really like it too. The cover looks simple, but as usual, good design, even when the results look simple, requires a lot of work. A lot of people were involved in that work. I wanted a design that incorporated a koru, a traditional New Zealand pattern that is an integral part of Māori art. The koru is an iconic image that connected to my homeland and related (loosely) to the subject of the book (the spiral pattern relates to the notion of moving inward from user space towards the kernel, as in when we make a system call). 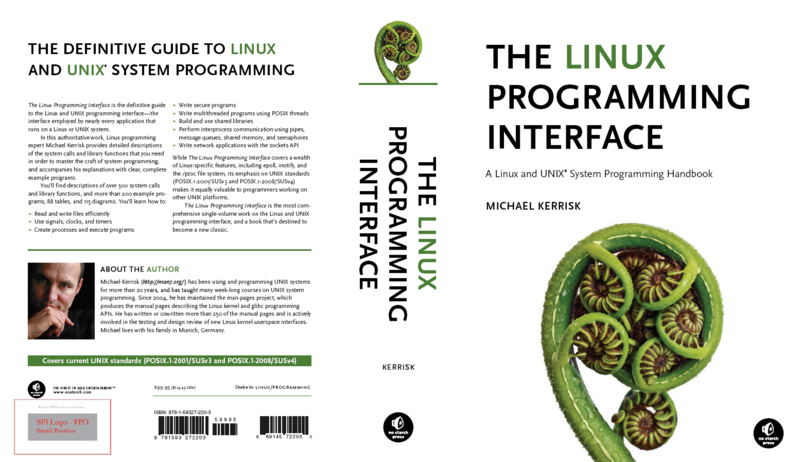 Initially, Bill Pollock (the head of No Starch Press) and I considered using a stylized koru graphic within one of NSP's themed cover designs (look here for some examples). After some deliberation, we concluded that this wouldn't work, and Bill suggested we use a photograph of the natural object from which the koru derives: an unfurling fern frond. 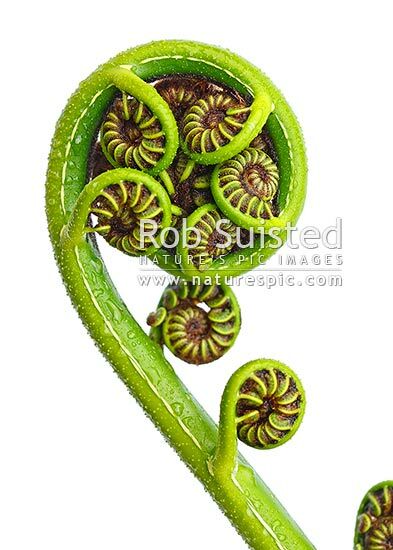 This wonderful image of a Black Tree Fern (Cyathea Medullaris; Māori name: Mamaku) is taken from the stock collection of the well-known and widely published New Zealand photographer, Rob Suisted (blog). Bill and I rapidly agreed that this image would make a great basis for the cover. Of course, the front is just one-third of the cover… What remained to be done was the spine and the back cover. The text on the back of the book (the so-called "back cover copy") is the place to succinctly sell the book to the reader. The text was composed partially by the NSP marketing team (who in a number of ways were much better and bolder at selling the idea of the book than me) and partially by me (since, obviously, I had the best knowledge of the technical content of the book). The author photograph on the back cover was made by a friend of many years, the all-but-professional photographer, Lynley Cook.